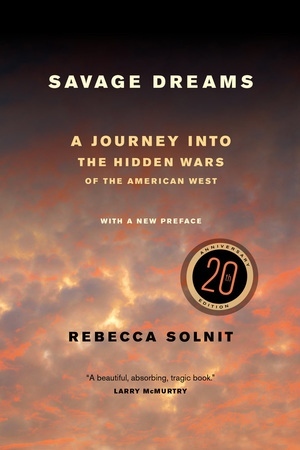 In 1851, a war began in what would become Yosemite National Park, a war against the indigenous inhabitants. A century later–in 1951–and a hundred and fifty miles away, another war began when the U.S. government started setting off nuclear bombs at the Nevada Test Site. It was called a nuclear testing program, but functioned as a war against the land and people of the Great Basin. Rebecca Solnit is the author of many books, including Storming the Gates of Paradise, Infinite City: A San Francisco Atlas, and Unfathomable City: A New Orleans Atlas, all from UC Press.